Wow! Hard to believe that Christmas is almost upon us! 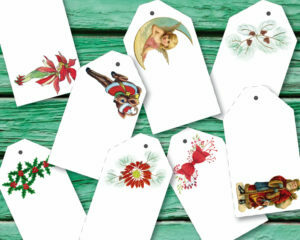 It’s traditionally gift-giving time – why not make your own gift tags? This quick tutorial is not so much a “how to” guide, but rather a link to resources that are “ready to go”. 2 sheets of 8 tags each that are ready to print. A blank tag template for you to create your own tag design. 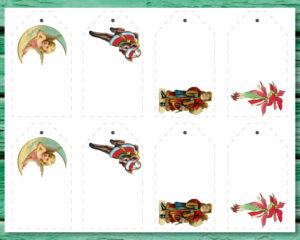 Christmas clip art to use on other items, such as cards, invites, notelets etc. The print-ready sheets are in US letter size (8.5 X 11 inches) and are given in JPEG and PDF formats. 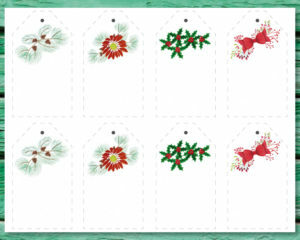 One set has been designed with watercolor “Chrismassy” clip art, and the other with vintage/retro clip art, courtesy of www.thegraphicsfairy.com. They’ve got a super range of vintage images to download free. 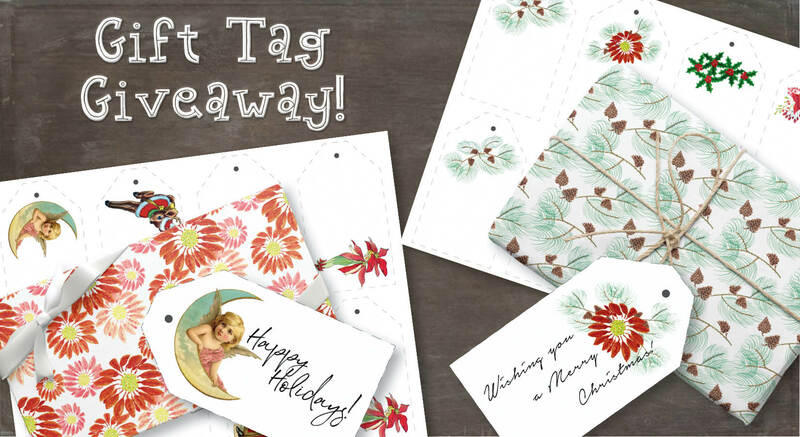 Once you’ve printed your gift tags, use a guillotine to cut them out for a professional look. A craft knife on a craft board will also work well. Wishing you a fun-filled, craft-inspired Christmas.